Why many autistic girls are overlooked? There is a female autism phenotype which does not usually fit with the profile associated with boys on which the assessment is usually based. This leads to under diagnosis in girls. They often go undiagnosed because they do not fit in autism stereotypes and they mask symptoms better than boys do. Autism in girls is a field that is constantly learning. 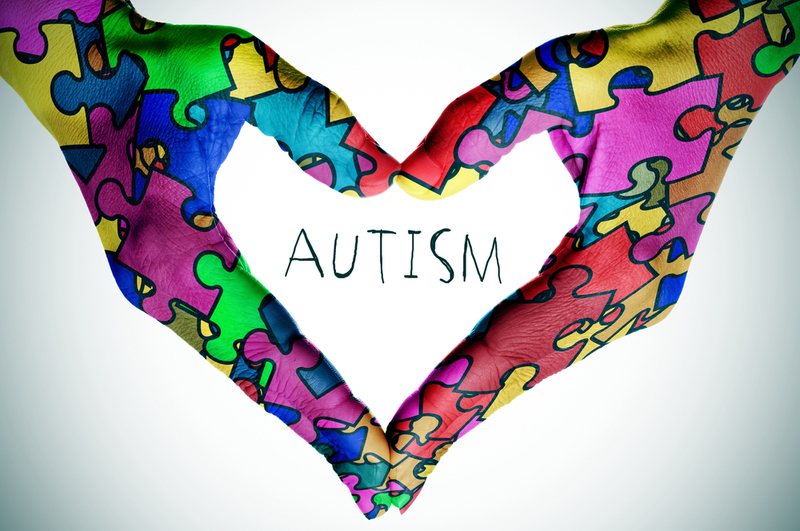 Studies suggest that boys are on an average, four times more likely to have autism than girls. Parents with daughter will often share frustrating stories of how difficult it was to get a proper diagnosis while many women did not get diagnosed until their adulthood. A female’s brain appears to protect it from many developmental disabilities, not only autism. Especially in verbally fluent girls with normal intelligence autism goes unnoticed. They are better in hiding signs, at least when they are young and are also called “lost girls” or “hiding in plain sight.” It is a developmental disorder that is marked by two unusual kinds of behaviours namely hindrance in communication and social skills and repetitive or restricted behaviours. Although every child with autism is different there are a few common characters in girls with autism. They may have a special interest in art, music, animals or literature. The interest might seem normal at first but the intensity of its nature can increase creating a symptom which can be identified. Obsessive Compulsive Disorder (OCD) can often be misunderstood as a disease, where as it actually is autism. A desire to arrange and organise objects is also another symptom. If your girl child has a strong imagination and she tends to escape in the world of fantasies. This may be your cue. When girls are gelled amongst their social circle, a key tendency of autism disorder is to mimic others around her so that she does not feel left out. She may want to blend in with peers to feel accepted. If your girl child has a strong sensory sensitivity. These sensitivities are a major symptom in many girls wherein they may be sensitive to clothes tags, a deodorant or even socks. Young girls with autism might perform from an average to excellent in school and their socializing would appear to be appropriate at their level. The condition may only be noticeable during puberty when social interactions become more complex. The feeling of being anxious. Interpreting the thoughts, motives or feeling of others. Not being able to understand body language or tone or any sort of non-verbal communication of that sort. Limited body awareness in term of passing away from obstacles or having immediate reflex. Early intervention is key, but a diagnosis later in life is better than no diagnosis at all. Getting diagnosed early in age can mean having access to various therapies and resources and the family members also get time to relate and adjust to the behavioural changes of their child. They have more time to cope and learn along with their girl child as she grows. After proper diagnosis, your girl can be placed with therapists or psychiatrists who can help your child have her questions answered to live a fuller life. These therapists can also manage reoccurring conditions such as anxiety, obsessive compulsive disorder, bipolar, depression or anorexia. Social skills classes are also available to help girls and women with autism to cope with personal relationships and social situations. Make sure she understands or empathises with emotions. You do not want to point out to a sad or a frustrated face for her to realise there is a need for her reaction. She needs to learn from cues. At 2 years old if she has a speech delay or has a lisp which troubles her with “r” and “i” during speaking sentences. Immaturity is easier to identify if she likes playing with kids younger to her age or maybe is obsessed with her Barbie dolls. She may come out as extremely emotional. For eg. Excessive crying when a pencil tip breaks, or when she is happy, showing overwhelming happiness. Her sensory needs have to be kept in check. Anxiety over every little thing at a young age qualifies for autism and not the anxiety disorder itself. She may also show problems with sleeping, may it be alone or with a parent at reasonable times. Having struggles keeping eye contact. She may make a brief eye contact during a conversation but rarely make any throughout the rest of the conversation. If she is more nature focused. She would rather tend to talk to any animal than a person in self and be more attracted to nature than usual. Lack of coping skills is another problem. She may get frustrated when she feels she does not have enough time to finish what she wants. No matter how small the situation may be, she may feel she cannot let go when she has wronged. This may also be the case when some issue involves her and she may be unaware of it. She may have trouble or may struggle to start a conversation. She may speak mid sentence but would deviate off and not have any say further in the conversation. All of these difficulties contribute to a feeling of loneliness, isolation or being misfit. This further brings her depression and causes anxiety. Allow girls to work to their strengths. Make it a norm to be unique and encourage an atmosphere that brings them comfort. Girls are more vulnerable to internalising problems such as anxiety, eating disorders and depression. We need to learn about autism in females and how important timely diagnosis, understanding and support can be. To overcome this lack of knowledge about girls with autistic spectrum disorder, we need to talk about it. Creating conversations with parents, relatives, neighbours and everyone around you. The more awareness we create, the more we encourage fundraising, public interest and more research is generated. The awareness will only help overcome the adversity that girls on the spectrum face everyday.